Openbravo POS is an application developed in Java and to execute it you will need the Sun Java Runtime Environment (JRE) 1.6 or greater. You can install Java from Sun's website. You can also add the multiverse repository using the system tool Software sources, and install the java packages using the Synaptic package manager. 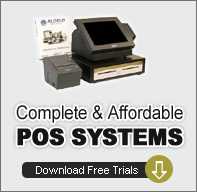 Download the latest version of the Openbravo POS from Sourceforge. There are available installers for several operating systems and architectures or as a binary package. There is a description of all the files available for download in the Openbravo POS 2.30 Release notes#How to get Openbravo POS. The installers are very simple to follow and the binary package just needs to be opened with your favourite uncompressor and extract all files to an empty folder. The first time Openbravo POS starts and there isn't a database, it display a warning alerting that it has found an empty database. If you click OK, Openbravo POS will create for you the database structure necessary to run. In Gnome go to Applications -> Office -> Openbravo POS or just execute openbravopos command in a command line. Open the Apple Terminal (located at: /Applications/Utilities) and go with the command line to the location the start.sh file is located. Then execute sh start.sh. If you want to have Openbravo POS in your language you need first to download the localization package suitable for your language. The list of available localization packages and where to download is maintained in the Openbravo POS localization guide. Localization packages are very simple to install, just uncompress the localization package in the same folder Openbravo POS is installed and restart the application. Once Openbravo POS is installed you should decide whether you want to run Openbravo POS on the built-in engine or on any of the other database engines supported. Openbravo POS supports five database engines: Apache Derby, MySQL, PostgreSQL, Oracle and HSQLDB. Openbravo POS since version 2.30 uses by default Apache Derby for data storage. Apache Derby is bundled with the binary package of Openbravo POS and offers the advantage that it doesn't have to be configured, and it is reliable and robust enough for most requirements. Derby is called javadb by Sun, and is included in Ubuntu from 7.04 onwards. Download MySQL server (essentials package recommended) and install it. Connector/J is on /usr/share/java/mysql.jar. You can copy or link it to Openbravo POS' folder. Create an user and a database. You can check MySQL documentation. Note: if you copy/paste these values, make sure you do not have a blank space at the end of each string, i.e. "com.mysql.jdbc.Driver ", this will cause an error when executing Openbravo. 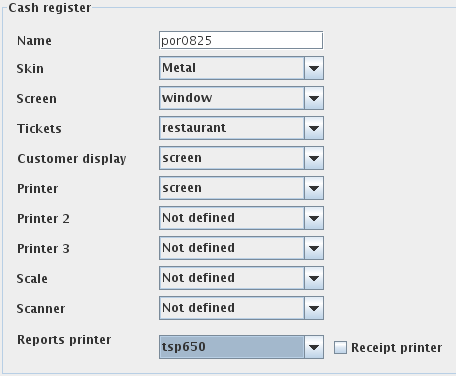 To use Openbravo POS with PostgreSQL you must have a PostgreSQL server running and the JDBC driver for PostgreSQL. Download the server PostgreSQL download and install it. Download the JDBC driver PostgreSQL JDBC Driver according to your version and install it. You can also install the PosgreSQL administration tool pgAdminIII. The JDBC lib is on /usr/share/java/postgresql.jar. You can copy or link it to Openbravo POS' folder. After the database server is installed and running you have to create an empty database for Openbravo POS and a database user with privileges to connect to this database. You can check PostgreSQL documentation. To use Openbravo POS with Oracle you must have an Oracle server running and the JDBC driver for Oracle. Download and install Oracle XE and the JDBC Driver. You can also install to administer and query the database Oracle JDeveloper. After the database server is installed and running you have to create an empty database for Openbravo POS and a database user with privileges to connect to this database. Is the file provided by the database engine vendor that contains the JDBC driver that allows Java programs to communicate with the database. It's usually a file with extension .jar. is the name of the cashier. provides a few themes which change the look of Openbravo POS. sets the way how a customer should see the last ordered item. sets a barcode scanner to read barcodes. is a printer that prints reports. You select the language and the country of the application. This selection determines also the default format for currency values and the currency symbol, the default format for dates, times and numeric values. 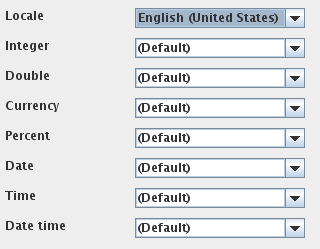 Here you can overwrite the default type format for each value type defined by the selected Locale. This pattern format follows the specification of the Java platform. You can set a payment gateway to provide a possibility for customers to pay by credit/debit card. At the present day Openbravo POS supports Authorize.Net and SecPay. Your ID that you get when you register in a payment gateway provider. Your password to your Commerce ID. sets the provider that you register in.